Rachel Platten is our Homegirl! 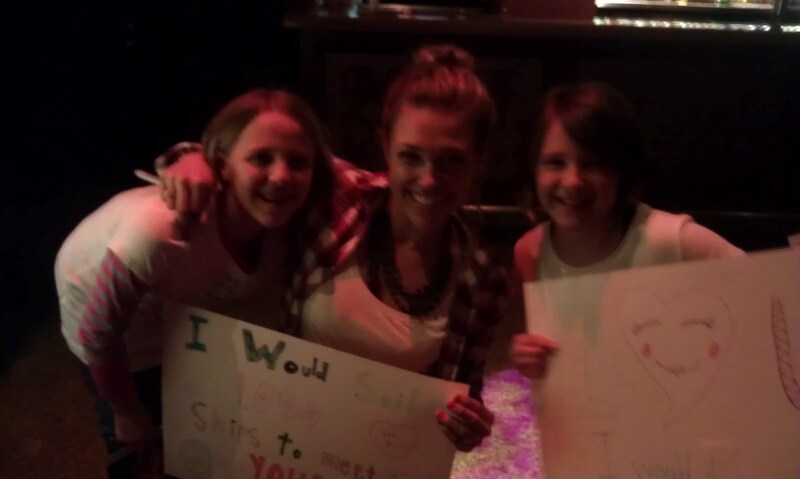 If you don't know about Rachel Platten - YOU SHOULD! Her song "1000 Ships" is a Bishop family favorite. Check her out on youtube singing 1000 ships at a Dayton radio station - her beat boxing is the best. 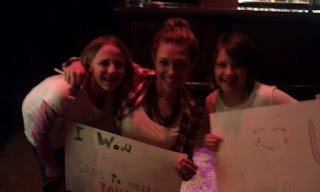 We really love her music and Rachel is a seriously awesome chick! 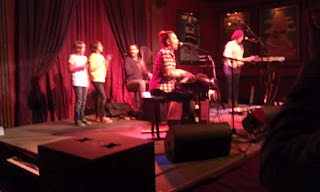 We took the girls to Cleveland's House of Blues last night to see her live and they were so impressed with the little chickens (L&E) they pulled them up on stage to play percussion on one of her songs and let Lila sing in the mic with Rachel! They were so excited and said it was "the bomb!" 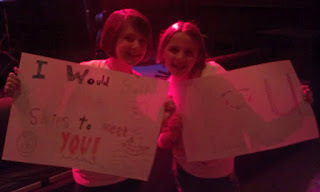 They were on cloud nine and are even bigger fans now then they were. Other favorites of ours are "Nothing Ever Happens" and "Little Light!" Bess Rogers opened for her and she ROCKS too! Check her out as well! Her song "Anchor" is a personal favorite of mine because it is a song about Brian for ME! She told me it was written for her husband, who is her anchor! LOVE IT!